Udaipur. 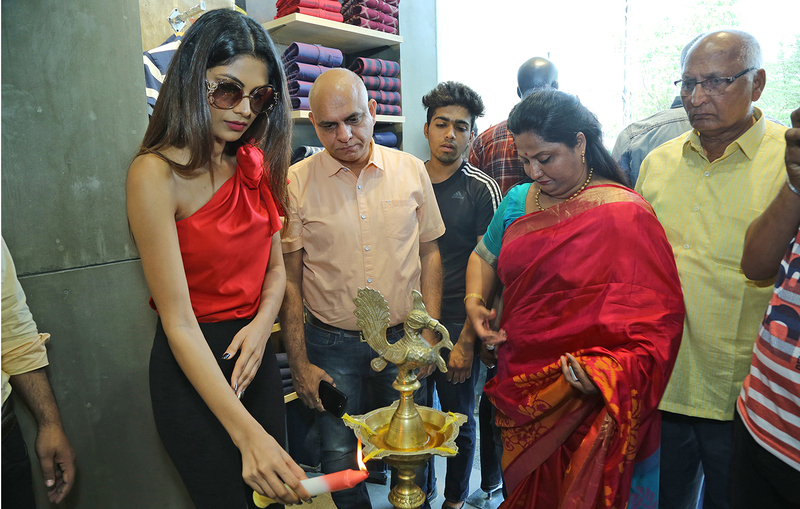 High Street Menswear Fashion Brand Wrogn Youth Icon Curated by Virat Kohli, Actor and Big Boss Fame, Lopa Mudra Rout, launched its first exclusive brand outlet in Udaipur on Friday. Spread over 700 square feet, this new showroom is located on the RMI city center, Ashok Nagar main road. With this store, Wrogn will have 13 special brand outlets in the country. Store in Udaipur have more than 250 designs, which will include trendy T-shirts, shirts, chino, slim-fit trousers and casual jackets that can be worn for comfortable and semi-formal occasions. The cost of the collection is Rs. 799 / on words -. Wrogn Menswear Collection is conceptualized by Virat Kohli in collaboration with the label design team. The brand reflects Virat Kohli's distinctive personal style and fashion sensibilities. Wrogn's ownership is owned by USPL (Universal Sportsbiz), founded by Anjana Reddy, who is the leading fashion celebrity in London. Wrogn was launched in 2014 and has emerged as one of the fastest growing men's brands in the country. Initially, the brand started retailing at Shoppers Stop outlets and online fashion portal Mitra and is currently pursuing an Omni-channel strategy with launching special brand outlets all over the country. The brand opened its first exclusive outlet in Hyderabad in 2016 and opened 10 outlets including one country in Guwahati within a year. Iopa Mudra Rout talked the media in the inaugural ceremony, she said even though the reality show for the youth of today is a way of making money and fame and everybody dreams of becoming a part of the reality show. But in the golden world of the TV screen, it is not easy to make your identity, Loda Mudra, who has come to raise the showroom of Wrogn in Udaipur, said that in today's time the craze for a reality show in the people has increased significantly, a new talent is coming out. To see the Lopa, the tremendous enthusiasm in large numbers was also very excited. Speaking to the media, Lopa told the 105 days spent in the Big Boss 11 and also taught the great days of learning a lot.